In 2009, we have sampled the organ in Gapinge, an organ positive by De Backer. This organ has now been moved to the national organ museum in Elburg. Making this sample collection we have set out how this organ in Gapinge sounded. So the first sample of Voxus Virtual Organs is historical. 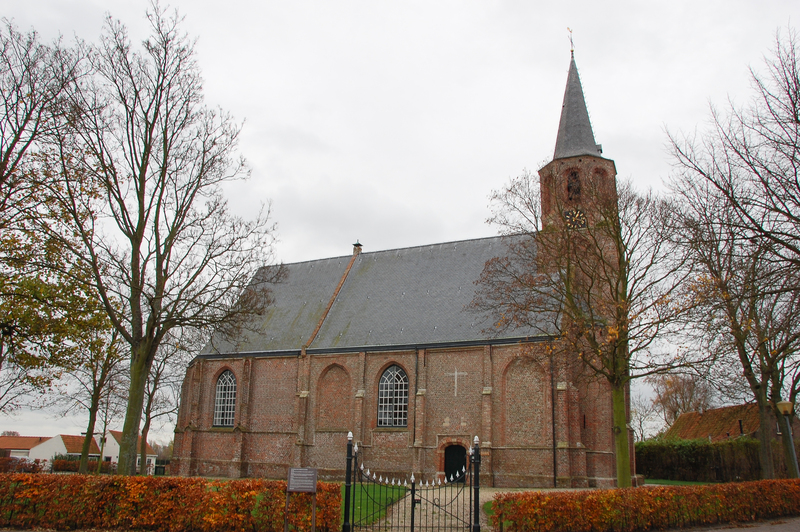 The tower of the Gapinge town church (“Torenkerk”) dates back to the first half of the fifteenth century and is the only town church on the Isle of Walcheren to have survived the Dutch War of Independence (1568-1648). The tower was built next to a church (probably) made of wood and was mapped out in an H-shape. This means an entrance was created through the tower which effectively is supported by two parallel walls. The choir dates back to the middle of the fifteenth century and the nave was to be finished only around 1500 in its current shape. Between 1920 and 1922 the plaster coating of the tower has been removed under direction of architect A.A. Kok of Bussum. The entrance niche was also made visible again in its entirety. Around 1900 the nave of the church was used to house a school. Some walls were put into it and the windows were blinded with masonry work. After the Second World War all this was undone. Subsidences caused by the intentional flooding of Walcheren (between 1944 and 1946) were repaired also. Since the congregation is rather small, services are held in the choir. Therefore, a separation made of glass was raised between the choir and the nave under direction of mr. E.P. Messer, architect from Amsterdam. The organ of the Town Church of Gapinge was built around 1760, probably by Ludovicus de Backer from Middelburg, or one of his pupils. The origin of the organ is most certainly the province of Zeeland, since strips of the ‘Middelburgse Courant’ dating back to 1804 were found inside the stoppers of some stopped organ pipes. In 1833 it was probably already owned by Abraham de Landmeter, a wealthy contractor from Middelburg. It was probably offered for sale to the Mennonite congregation of Middelburg, but it wasn’t sold. 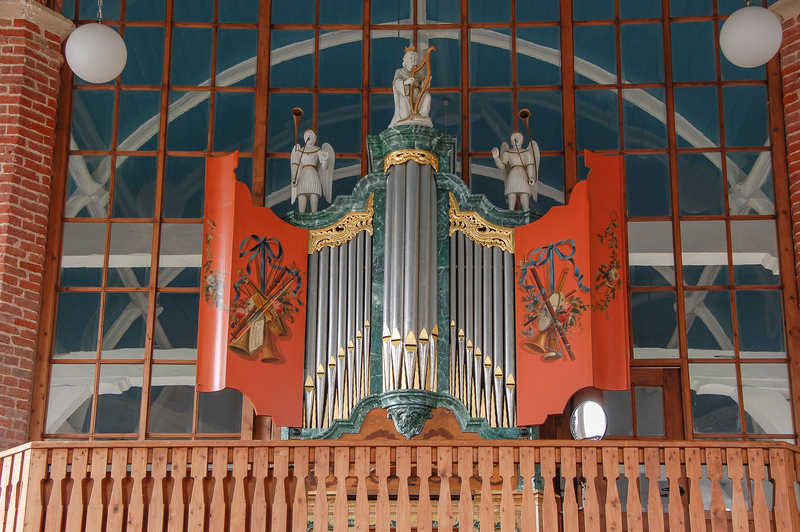 In 1873 the organ was bequeathed to the Dutch Reformed Church of Oostkapelle. Also a sum of 1700 guilders was available, the interest of which was to be used to pay the organist’s salary and to maintain the instrument. The organ was placed onto a balcony supported by three wrought iron pillars and was inaugurated the 20th of July 1873. In 1903 the organ was sold for 350 guilders to the Dutch Reformed congregation of Gapinge. The original statues of the organ were left behind on the organ loft in Oostkapelle. In 1985 the Pels & van Leeuwen company from ‘s Hertogenbosch restored the instrument, supervised by Jan Jongepier, who also played this fine organ during its inauguration. Works with Hauptwerk version 3.x or higher. Works also with the free edition of Hauptwerk.